The race for the World Tour Finals at the O2 will continue in Paris on Thursday as Milos Raonic, David Ferrer, Andy Murray, Kei Nishikori and Grigor Dimitrov all won on Wednesday. In the day matches, Fabio Fognini was the only seed to fall, losing out to the world number 176 French qualifier, Lucas Pouille. Firstly, credit to Pouille for another superb victory. Fognini failed to serve out both sets and lost his cool at the end of the match, which saw the umpire, Carlos Bernandes refuse to shake his hand at first. Fabio’s recent antics on the tour have been an absolute disgrace. The ATP’s measly fines are appalling and they need to seriously clamp down on his behaviour. Andy Murray won his tenth consecutive match in Paris on Tuesday, beating Julien Benneteau, 6-3 6-4 in his first match of the week. Murray responded well after winning the title in Valencia on Sunday, coming through a brutal and bruising encounter with Tommy Robredo, which lasted three hours and 20 minutes. Murray is playing his sixth tournament in as many weeks; one more win will officially confirm his place at the World Tour Finals, but he’s pretty much there. In contrast, his opponent on Thursday, Grigor Dimitrov needs to reach the final to keep his hopes alive of making the final eight in London. Dimitrov started his week with a confident 6-0 6-3 victory over Pablo Cuevas. Personally, i’d like to see Dimitrov make the O2 over the likes of Ferrer, Berdych and Raonic, but I can’t see it happening. This will be the third time that Murray and Dimitrov have played each other in 2014. Dimitrov has won both their previous encounters this year. The first of those came in Acapulco, a fantastic match which Dimitrov won, 4-6 7-6(5) 7-6(3). The third set of Dimitrov-Murray featured some of the most enjoyable ATP tennis i’ve watched all year. The most recent win came at Wimbledon where Dimitrov won in straight sets, stunning the Centre Court crowd. Murray has played himself into form over the last six weeks, but he’s also admitted that he could do with a break after a punishing schedule. Under normal circumstances, i’d take Murray in this match, but Dimitrov is playing well enough to take advantage of Murray’s weary legs and advance to the quarter-finals. October 29, 2014 in ATP, Dimitrov, Murray, Paris. The Tsonga vs Nishikori match looks like it will be a highlight. Three of their four encounters have gone the distance and they’ve had four sets go to tiebreakers. I have a feeling Murray will win one of the next 2 tournaments. His recent run and return from injury kind of reminds me of Nadal of 2013. Lots of matches and some close ones at that has got to give him that extra confidence and mental edge which he usually lacks. I always thought that Murray’s physical consitution and resistance was among the very best and surpasses even Nadal’s so he can take this grinding schedule he’s had. Whats more is that he really seems to be enjoying these challenges and that he’s going to try and win as many matches as he can. He has a score to settle w Dimitrov and Dimitrov won’t have it as easy this time w these floaters that Murray often gives. Dimitrov is also very motivated and unusually focused which is ironically a breath of fresh air so this should be a great match. 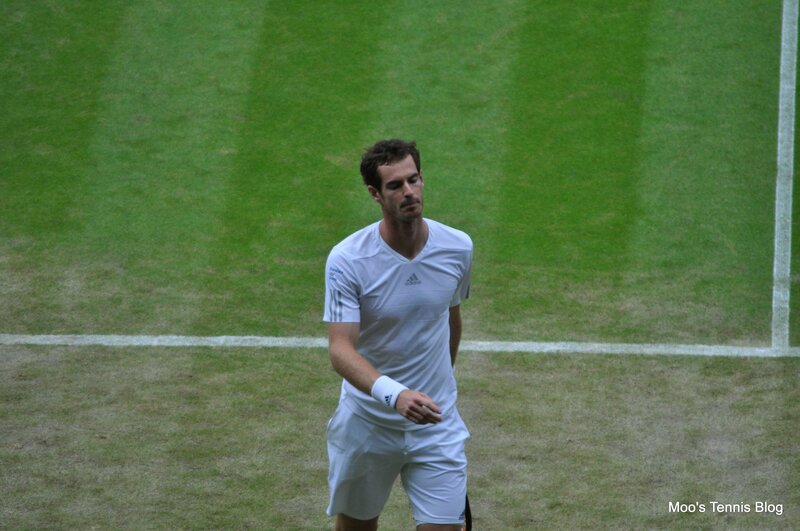 If Murray wins and meets Djokovic in the next round I think he’ll lose mainly due to the fatigue factor. The main setback for Murray in that rivalry is mostly mental imo since I actually have Murray as the slightly stronger player. Which is funny because it used to be the other way around where Murray used to frustrate the hell out of Djokovic. I guess Djokovic really rubbed it back the other way. Murray needs to find the perfect balance between offense and defense and not jinx himself with these mental ghosts. Imo he has the best baseline game of the traditional top 4. You think that Murray will win the year end championships? I don’t see it happening, though he could well make the semi finals. I don’t think he will even make the semi finals! I don’t know… he’s playing his very best right now and he loves a quick hardcourt. I’m even tempted to say that he could upset Djokovic in Paris at this rate! Really surprising match between Penetta/Muguruza.. 6/0 1/6 ? I’ve never seen Djokovic look so sober. Seems he’s practically unbeatable atm but really like how Monfils plays to win but remains pressure free. Very enjoyable to watch…Hope Djokovic appreciates it too so we can have a 3rd set. I have a funny feeling he will just to get some more match practice. He’s going up against Murray, Ferrer/Nishikori and Federer over the next couple of days…I’m sure he’s trying to get off the court as FAST as possible.